The Book Rat: BEDLAM | guest post & GIVEAWAY from Debra-Ann Kummoung! BEDLAM | guest post & GIVEAWAY from Debra-Ann Kummoung! 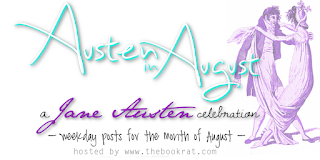 Today’s guest post comes from Debra-Ann Kummoung, author of Falling for Elizabeth Bennet. You’ll be hearing more from her in this year’s Janeite Conversations (here’s the first, ICYMI),so make sure you check back off! Until then, here’s Debra-Ann’s take on the horrors of being committed to “Bedlam,” as well as a chance to win a copy of her book! I wanted to do a spot on something a little different - medicine practices in the 1800s and was being sent to Bedlam really that much of a threat. Like all of my fellow Janeites, I love many of the things about Jane Austen’s time period, with one exception, the medicine. As a modern woman, I cannot imagine what things were like medically and I wouldn’t want to try. The first thing I wanted to understand was the different between an apothecary and a physician. An apothecary was someone of a lower social class only just above a tradesman who was not paid for his services and typically served the needs in rural areas. The only thing that an apothecary could charge for was any drugs that he was able to convince someone to buy. A physician on the other hand was a person of higher social class and were educated and trained men. Some served the same family while others would move to various regions of the country - like Bath - where there were many physicians and apothecaries to be found. Bedlam was a true place to fear. It was not just a threat to make family members fall into whatever plans they had in store for them. It was a virtual hell. The patients were treated more like inmates than people and most that entered never came out again. In recent years they have discovered mass graves from the people who died in Bedlam. Now, at this point, I’m sure you are wondering why I would choose to write about such a sad and dreary subject. Well, that is because in my book, Falling for Elizabeth Bennet, Elizabeth has a medical condition. I will not spill the beans and tell you what, but I will say this, do not expect an obvious ailment. I would also like to give you a chance to participate in a giveaway for anyone interested. I will giveaway 2 copies of my book. One international and one domestic. If you do not wish for a signed copy, I would be happy to send you an e-copy instead. I’ve also attached a copy of reasons for people to be admitted to Bedlam in the 1800s and while the listed well after Jane Austen’s death, I image most of the reasons were still relevant. I would like to point out that according to this list, I think most of us would have been committed for the grave crime of novel reading. To go along with her discussion of Bedlam, Debra-Ann has offered up 2 copies of her book Falling for Elizabeth, to two lucky winners! and 1 winner (INTERNATIONAL) will win an ebook of Falling for Elizabeth! To enter, fill out the Rafflecopter below. And make sure to leave some comment love for Debra-Ann! How interesting! Thanks for sharing some of your research. A mysterious illness AND love; who could ask for anything more!! The research you shared has made me to want to see more. Thank you for an opportunity in the giveaway. My pleasure, Christina. It was fascinating for me as well. Monkee, I wanted to do a book that was a little different. Good luck with the giveaways. It’s my pleasure to offer this gift. How times have changed so much in terms of medicine and scientific evidence, Debra-Ann. I wouldn't want to go back in time and live permanently Jane Austen's times. Maybe just for a quick visit and then come back to modern conveniences. Thank you for sharing this bit of information but I would suggest that you include surgeon as well since it is related to this topic. Thanks, Luthien84. I agree that a quick visit would probably be best. That’s a valid point regarding surgeons. At the time I wrote this, I was thinking of just field surgeons that served the military and decided to leave them out. I’ll add them the next time. 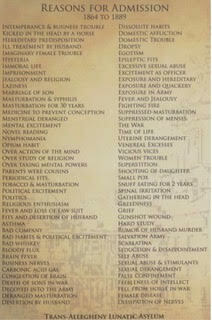 Btw, I forgot to mention that I couldn't read the reasons for admission into Bedlam as the words are much too small. Do you have a larger image that I can read clearly, Debra-Ann? Thanks. I’m so sorry to hear that. I do have a larger image. I’m having problems attaching here. I’d be happy to send to you via Facebook, Instagram, Twitter or I can post it on my Facebook author page if you like. I prefer it to be posted on your author Facebook page. Thanks, Debra-Ann. I’ll have it posted shortly. Thanks for your interest. Sorry it was too small to read. I yeah, I'm right there with you on the creep and chill factor of mad houses and treatments a few centuries ago. Thanks for sharing, Debra Ann! It was my pleasure, Sophia Rose. It was interesting to write. Thanks for stopping by. After seeing the Boris Karloff movie "Bedlam" it was enough to creep me out for a very long time. I doubt it was completely accurate, and I am sure that the real thing was far worse than depicted. Yes it is a sad and depressing topic but one that must be discussed if we are to understand where we came from and come up with ways to improve human lives. Well-done, Debra-Ann! Thank you for your kind words. Thanks for sharing your insights with me as well. When I first discovered Jane Austen at a young age, I used to wish I would have lived in that time period but the more I learn about the reality of that time period, the more I am glad that my wish wasn't granted. I am certainly glad that medicine has much improved from that time as it definitely would have been a bad period to be sick or to have someone who claimed you were mentally ill. I think that there is something that speaks to many of us about that time period - manners, the slower simpler life and so on. As much as I love this period, real life made me take off my rose colored glasses and see that they had their own difficulties. I apologize if my post if a bit darker than others, but I wanted to do something different.